One of the highlights thus far for Capital Star steel has been attending our first mining Indaba, which took place at the International Conventions Centre in Cape Town. The conference, which ran from the 4th to the 7th of February 2013, hailed an array of organizations globally. The exhibiting companies hailed from over 30 countries across four continents. The delegates, most of whom are fundamental and key players within the mining sector, ranged from investors, project financiers, bankers, fund managers, analysts, executives and board members from large mining companies and mining service. 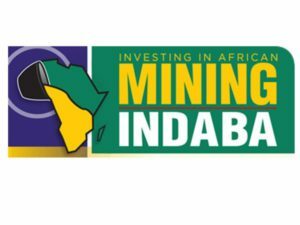 Maria Palombini, who is The Group Marketing Director for the Mining Indaba was avid to report on the successful turnout that occurred at the event itself. As reports have stated, this year saw the CICC host their largest mining indaba yet. Maria, who has been with the Mining Indaba for a numbers years now, was more than jubilant in solidifying those statements. She confidently noted that this years’ Mining Indaba was by far the largest Mining Indaba ever hosted in its 12 years, with delegate numbers that exceeded 7 500. The 2013 Mining Indaba – she noted – was our record-breaking year, with more than 7 020 delegates in attendance from more than 100 countries and territories worldwide, which in itself shows the direction our economy and stature as a continent is headed. She continued to note that the delegates represented the scope of the event itself and the critical industries throughout the mining value chain. The company is set on being a key player within these sectors and aims to become a fundamental asset to potential clients in Africa – hence our participation at the Mining Indaba 2013. The Sales and Distribution Division of Capital Star Steel is well on its way to becoming the preferred market leader in Southern Africa, which aims to build an unparalleled reputation as a supplier to the South African market of cost effective and made-to-specification-solutions to ERW piping needs. We are absolutely confident that we have a unique selling proposition in our target market and that we have the resilience and tenacity to become the preferred supplier across the continent. Capital Star Steel was located at Stand No. 18, which in essence was one of the first stands situated by the ICC Hall Entrance. This gave the company great leverage as they were one of the first exhibitors seen by visitors. Interested candidates were treated to the company’s corporate video, slide show images of the company’s Metalong Project for 2013 as well as the Lesotho Project, also for 2013. Drinks, snacks and Coffee were at hand for potential clients and visitors. Much valued customers were treated to CSS branded gifts. The group is more than confident Capital Star Steel proved, beyond reasonable doubt; we truly strive to be exceptional people, that we give exceptional service and offer Exceptional products.